During the summer the "serious" photographer takes a holiday and the child inside takes over and wants to play - for instance with locomotives. 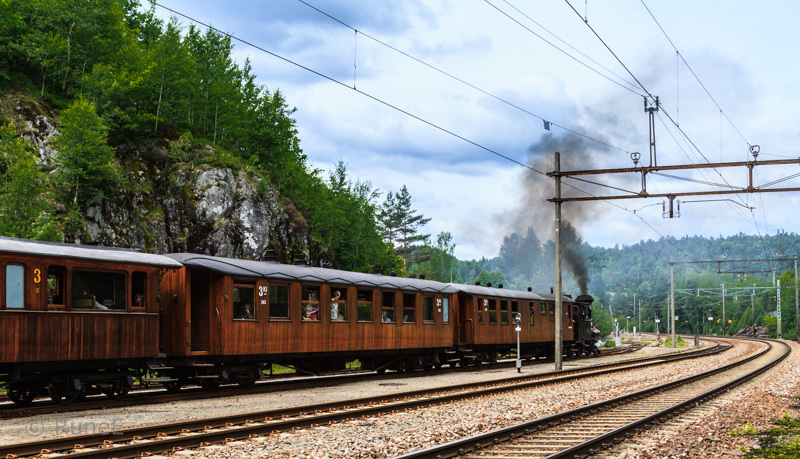 In this case it was the veteran railway Setesdalsbanen outside Kristiansand in the far south of Norway. 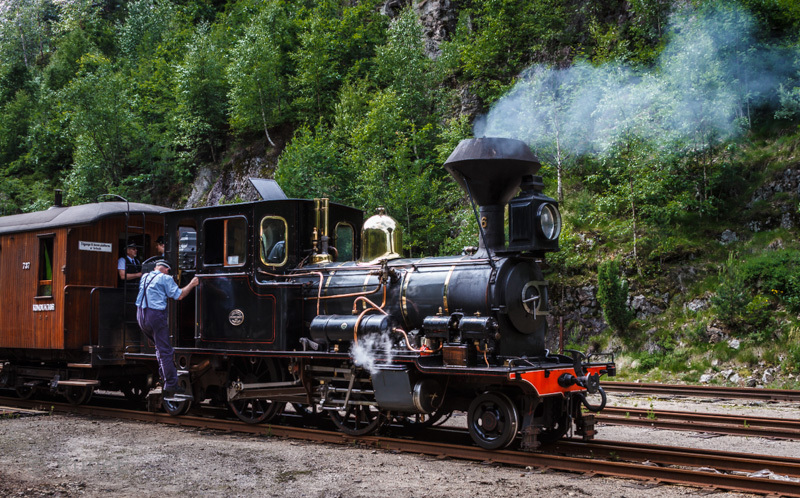 It was initially opened in 1895 as a narrow gauge (1067mm) railway, but it ceased ordinary operation in 1962. But enthusiasts still operate part of it. And with lots of steam! 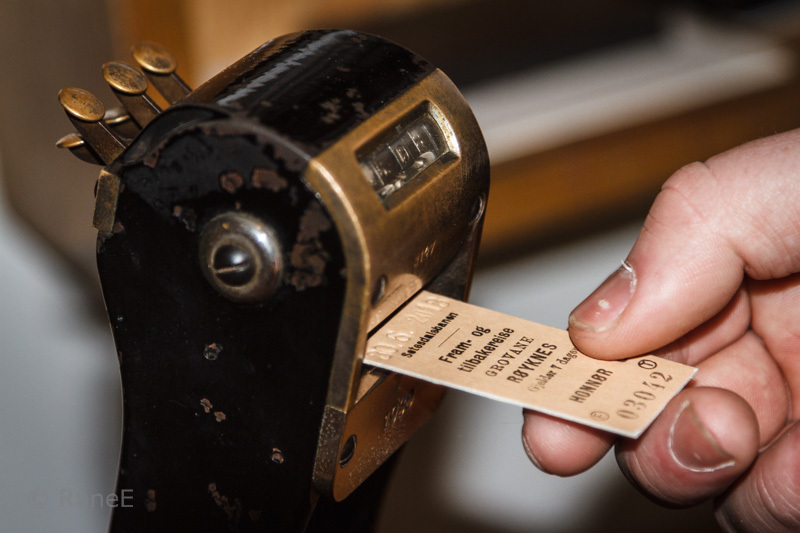 But of course you need an old-fashioned ticket to enter the train. No modern apps here! And then it is time for departure! Have a nice Week-End and a fine summer! Oh, I do love old trains and still prefer to travel by train than by plane! I love your captures for the day, Rune!! And what great old train it is! Thanks for sharing, this is very special!! Have a wonderful weekend!! Ah, those were the days. 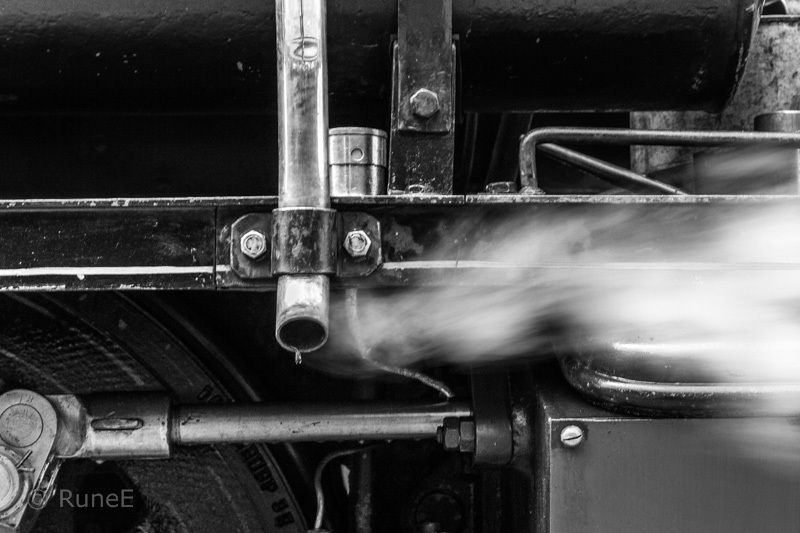 I remember the noisy smelly (but exciting) steam locomotives from my Chicago childhood. You made great photos of a beautiful train. Oh wow! These are amazingly beautiful photographs!!! My son is a engineer for Norfolk Southern. I have a LOVE for trains. Dette har jeg virkelig sansen for! Liker dette både i smått (medlem av MJF) og stort! 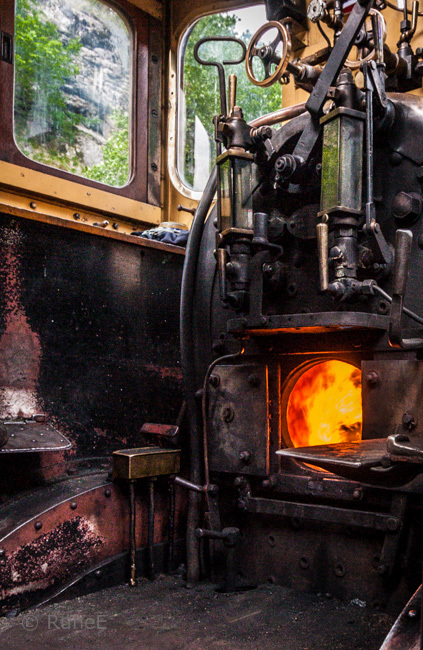 Very interesting steam engine photos! Beautiful shots Rune. I love trains where you can still lean out of the window! lovely series of photos - like the B&W but also the fiery red of the furnace. Great blog, I like it. I'll stick around. Greetings from afar. Dette er nostalgi da, og på sitt aller aller beste! Fin fin sommer til deg Rune, så fotograferer vi og deler etter hvert. What a beautiful train! And I love the old-fashioned tickets too, they make me think of my childhood holidays and adventures. I feel like I'm staring at a wonderful movie stills. I smiled when I saw that even the tickets were old fashioned. Wonderful! Rune, do you have any idea of how the comfort level on those trains compares to the ones we have now? I'm assuming it's a huge difference, but I have no real idea. I'm impressed by the beautiful 'unmolested' timber that lines the side of the cars. If that were here in Los Angeles, it would be destroyed by paint can wielding youth. Full Steam ahead with this post my friend. Fine smakebiter du gir oss. Utrolig sjarmerende ... flott at de har tatt vare på denne delen av historien vår. Jeg elsker også disse gamle dampmaskiner. Var du med ude at køre? Wow! This looks awesome...I would love to be a part of this! En flott og vakker foto essay. Kan virkelig føle den forgangne tiden.